Life on a college campus: hours spent lost in study at the library; coding away at a computer; courting new discoveries in the chemistry lab. At UNH, that list of worthy pursuits might also include hiking through College Woods; surfing in the Atlantic, climbing in the White Mountains; innovating in experiential education. True, UNH’s location helps the university do outdoor adventure better than many campuses. Even without leaving Durham, students can hike the eight miles from campus to UNH’s Browne Center for Innovative Learning and spend 90 percent of their time in the woods. But UNH’s designation as a best for the outdoors university is about more than location. Whether students are seasoned hikers or have never set foot on a surfboard, the student-run New Hampshire Outing Club (NHOC) offers access for all ability levels, and Campus Recreation also provides instruction, gear rental and trips. 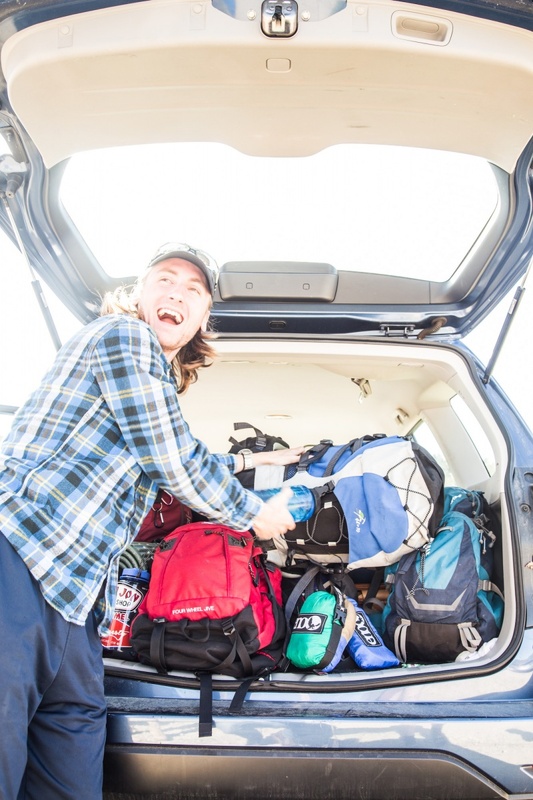 A UNH student packs the car for an outdoor adventure. What would he like current and future Wildcats to know about NHOC? For those who want to make a career out of their love for being outside, there’s UNH’s exceptional outdoor education program. Associate professor Brent Bell '05G says his students often say they did not realize how well-respected the program is until they go to conferences or land their first jobs. UNH also has a wilderness therapy program, where students work with the outdoor education program and the social work department, and for more than three decades, UNH students have been receiving wilderness medical training through the university’s partnership with SOLO Schools in Conway, New Hampshire. The UNH outdoor education program is the only place in the country where students can pursue a bachelor’s degree in kinesiology: outdoor education; master’s degree in experiential education and doctorate in education that specializes in experiential education connected to the same program. “There is a certain vibrancy of having undergrads, master’s students and even some PhDs all in the community,” Bell explains. Many outdoor education programs are part of smaller colleges, Bell adds, but at UNH, being part of a small community in a large university offers students myriad opportunities.